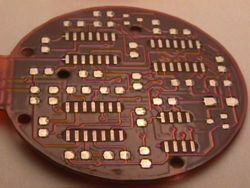 Flexible Circuits Designer - Flex PCB Design by Flex Technology Inc.
Our engineering staff will work with your technical people to provide a circuit layout that incorporates the complete electrical requirements such as current maximums, voltages, types of signals (video, digital, RF, etc. ), shielding considerations, impedance characteristics and capacity limitations. FTI will review the physical requirements of the system where the circuit will be located to determine what obstacles may affect installation. 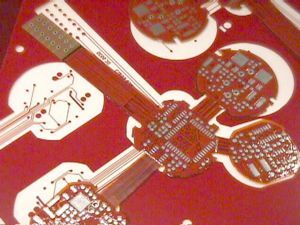 Note: Although we are able to provide you with rigid printed circuit board design, we have partnered with Pix Electronic's PCB Design for any board that isn't a flex or rigid-flex design. Please contact them for a quote. Please tell them that we sent them over to you. Thanks! Also, FTI will review the environmental conditions to which the system will be subjected. Thermal rises, atmospheric conditions, humidity, vibration. All will be addressed and considered as part of the complete design review thereby providing the most cost effective circuit configuration. FTI will produce "proof of design" units for form, fit, and function verification. FTI will run small to medium quantities for test production.